In the second article of this four-part series about what makes IIT Madras a land of opportunities, we look at learning beyond the four walls of the classroom. The rest of the series can be found here. The student-run Centre for Innovation, or CFI, comes alive at night, buzzing with activity as student teams work hard on different projects till the wee hours of the morning. Funded by the 1981 batch, CFI was envisioned as a forum for the creative output of engineers-in-the-making at IIT-M, along the lines of the Edgerton Center at M.I.T. The numerous clubs that make up CFI are a medium for the exchange of knowledge and ideas among students. The Astronomy Club, for instance, regularly organizes observation sessions on the rooftops of the department buildings. The iBot Club sends teams to prominent robotics competitions and has won accolades. The newly-formed Analytics Club, through projects and workshops, helps students acquire the skills required to extract meaning from data, which can be put to use doing live projects with real-world data in partnership with companies in the field of analytics. The Computer Vision Group mentors student projects in the area of image processing and has also successfully completed various industrial consultancy projects. There’s even a 3D Printing Club that captures the enthusiasm the open source nature of 3D printers has generated amongst students. 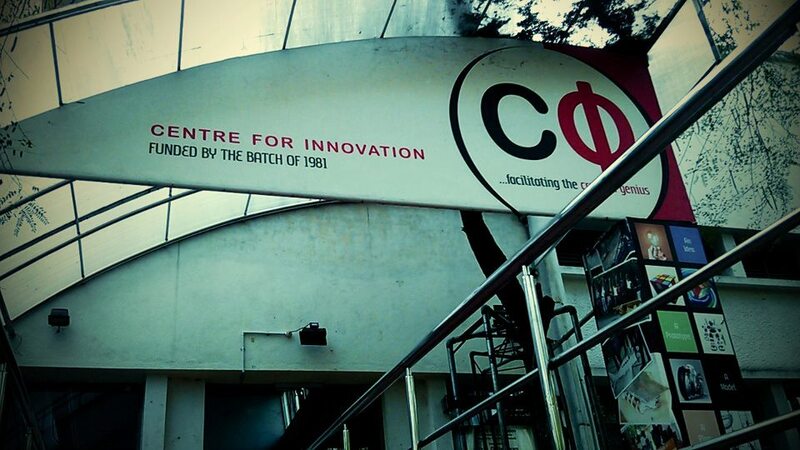 The Centre for Innovation, CFI. A great workspace, state-of-the-art inventory, regular workshops and ample guidance from seniors and faculty, and just as importantly, the instilling of the qualities of teamwork and leadership among its members, make CFI a popular organization that is unique to IIT Madras. This hasn’t gone unnoticed by alumni. Kris is joined by others who, having benefited richly from their time at IIT-M, have felt the urge to give back. The Centre for Data Sciences, for instance, will be funded by a million-dollar-grant from the 1989 batch. Many of the lab facilities across departments are alumni-funded, as are various amenities in the student hostels, the P. G. Senapathy Computer Centre, the mega-mess building named Himalaya, a renovated canteen named Quark, and the Sharavati hostel for women. The alumni network also rewards academic achievements, with scholarships for incoming students who need financial support, several prizes for the toppers in each discipline in a given year, and also prizes that are awarded on the Institute Day and the Convocation for deserving students in the graduating batch. 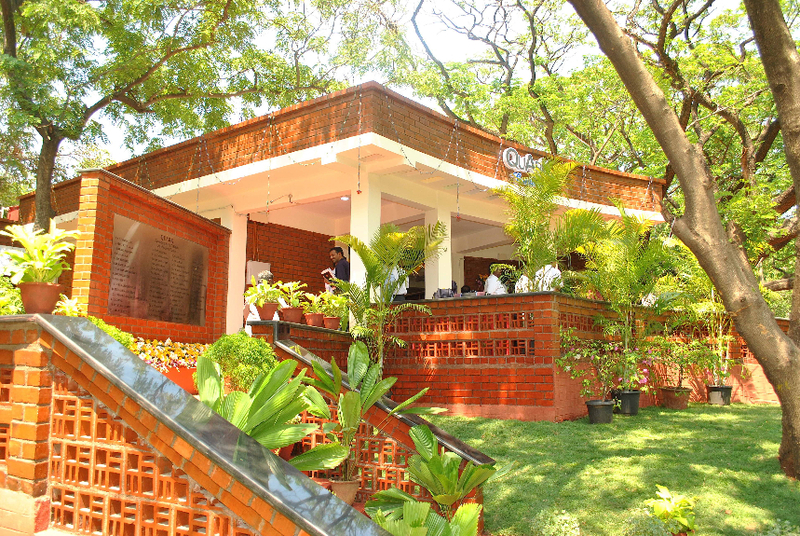 The renovated canteen, Quark, which was sponsored by the 1973 batch. But as the alumni know well, there’s more to IIT Madras than academics. The squash court in the sports complex was funded by the 1986 batch. The campus will be hosting the Inter-IIT Sports Meet later this year, with generous contributions from various alumni. The alumni network also played a crucial role in the recent success of the IIT Madras team that won the Longitudinal Multiple Sclerosis Segmentation Challenge in New York, beating 33 other teams from some of the best universities around the world, including Harvard and University College London. Dr. Krishna Chivukula, a Distinguished Alumnus and the founder Chairman of Indo-US MIM Tec. Pvt. Ltd., made a grant of ₹1.5 crores for IITMSAT, the student-led, nano-satellite project that was initially funded by various other alumni and the Institute. He also inaugurated, in April 2015, the IIT Madras Space Center which houses several test equipment and a clean room to assemble the components of the satellite. 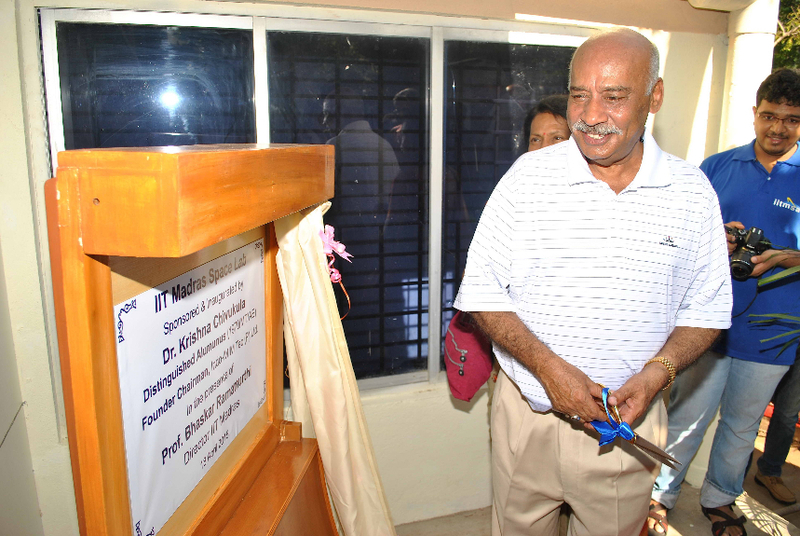 Dr. Krishna Chivukula inaugurating the IIT Madras Space Centre. The IITMSAT Project was created by a group of enthusiastic first-year undergraduate students in 2009. Currently, there are over 50 students from various disciplines working on it, some of whom have presented papers at international conferences. The satellite will be placed in a low Earth orbit later this year and will collect data about high-energy charged particles in the outer layers of the atmosphere trapped by the Earth’s magnetic field, and try to find if there are any correlations with other natural phenomena. The data will be transmitted to a ground station that will be set up in the IIT-M campus. The IITMSAT team with Dr. Krishna Chivukula and members of the IIT Madras administration. Despite the central role science and technology play in our lives, academia is often accused of living in an ivory tower and not contributing to the world at large. Running counter to this perception is the fact an increasing number of universities around the world have strong ties with industry, working on projects which can be deployed in small, meaningful timeframes. On the other side of the coin, industrial research and development labs such as Microsoft Research, the erstwhile Bell Labs and IBM Research, to name a few, have academic environments in which researchers work on ideas which often have no immediate, visible utility. Especially in the field of engineering, the line between industry and academia is blurring, leading to a symbiotic relationship, at the heart of which are student internships. 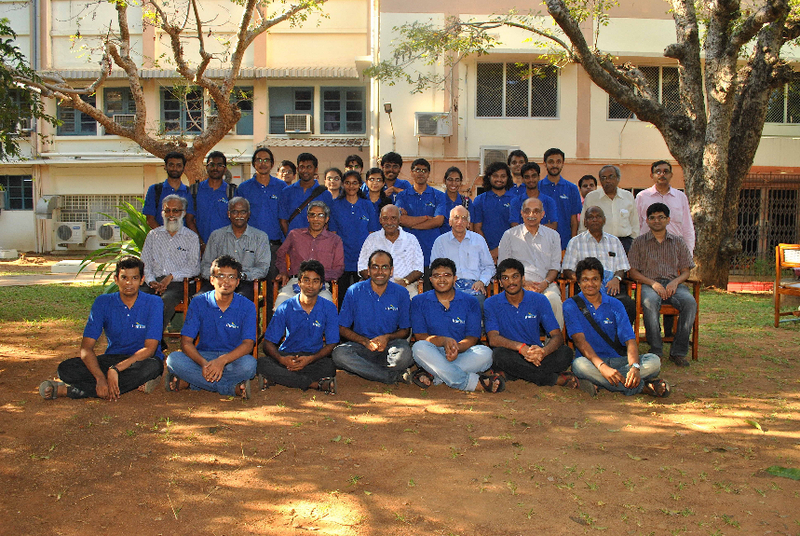 Students in the IITMSAT team, for instance, have benefited from visits to, and internships at, several institutions in India and abroad, such as the ISRO Satellite Centre in Bangalore, the Tata Institute of Fundamental Research in Mumbai, the Indian Institute of Space Science and Technology in Thiruvananthapuram, York University in Canada and EPFL in Switzerland. IIT Madras has had a long history of working closely with the industry, from the setting up of the Centre for Industrial Consultancy and Sponsored Research (IC&SR) in 1973 to the creation of the IIT Madras Research Park in 2010. The Research Park is the brainchild of Prof. Ashok Jhunjhunwala of the Electrical Engineering department and Prof. M.S. Ananth, the former Director of IIT Madras. Modeled after research parks at universities such as M.I.T. and Stanford, the IIT-M Research Park houses the R&D wings of several big names in the industry such as Titan, Tata, BHEL and DRDO, which coexist with startups out of IIT-M and elsewhere. The IIT Madras Research Park. Having so many companies to choose from, just a stone’s throw away, means that internships are plentiful for IIT-M students. 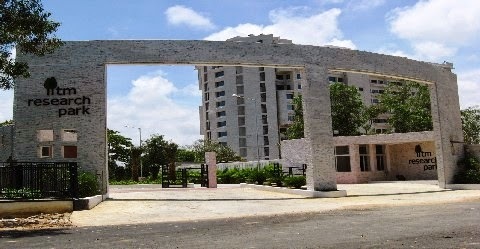 A unique blend of academia and industry exists at IIT Madras thanks to the Research Park, which offers an environment unparalleled anywhere else in India. “The fact that the Research Park is full at the moment is very promising. There is a lot more that can be done, but we’ve made a good start,” says Dr. Ashwin Mahalingam of the Civil Engineering department. “From a student’s perspective, the Research Park is just fantastic. Opportunities abound in terms of internships industry-supported projects and possible jobs. With world-class companies sitting just next door, there’s a lot more that can be done if students are proactive,” he says. And they certainly have great incentive to be proactive. In the third part of this series, we’ll see why IIT Madras is India’s Stanford. The rest of the series can be found here. To receive updates on many more interesting articles and stories from IIT Madras, do like our Facebook page here.